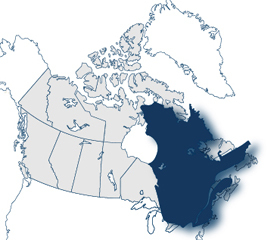 The Quebec Immigrant Investor Program seeks to attract experienced business people to invest C$1,200,000 into Quebec’s economy. Applicants who are successful under the Quebec Immigration selection system are issued a Quebec Selection Certificate (CSQ). The assessment will also take into account other factors such as age, the nature and duration of applicant’s professional training and language skills. Payment of a financing fee of around C$350,000:eThe applicant may choose to pay a one-time financing fee of around C$350,000 to a government-approved financial institution. This fee will not be returned. The financial institution will then make an investment with the government on the applicant’s behalf, using their funds. Submission of the Application for Quebec Selection Certificate to MIDI. Issuance of a “Confirmation d’avis d’intention de delivrance de CSQ” following a thorough assessment of the application by MIDI. Making the investment by the applicant and issuance of CSQ for the applicant and each dependent. Making a separate application to the Government of Canada for permanent resident visas. Medical and security examinations and issuance of permanent resident visas. Quebec Application Fee: C$ 15,000 for main applicant, no fee for dependents. Federal Processing Fee: C$ 1050 for main applicant, C$ 550 for spouse, C$ 150 for each child. Right of Permanent Residence Fee: C$ 490 for main applicant, C$ 490 for spouse. Fill out the following simple free Questionnaire. We will assess your eligibility based on more than 60 different Canadian immigration programs and send you the result within 48 hours! ITC Immigration and Employment Services Inc., practices in the area of Canadian immigration as well as second residency and citizenship programs in a global sense. The company was established in 1998 to provide knowledgeable and efficient immigration services.